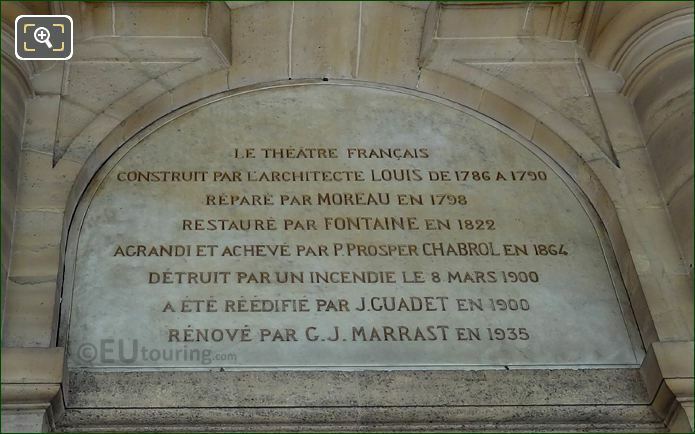 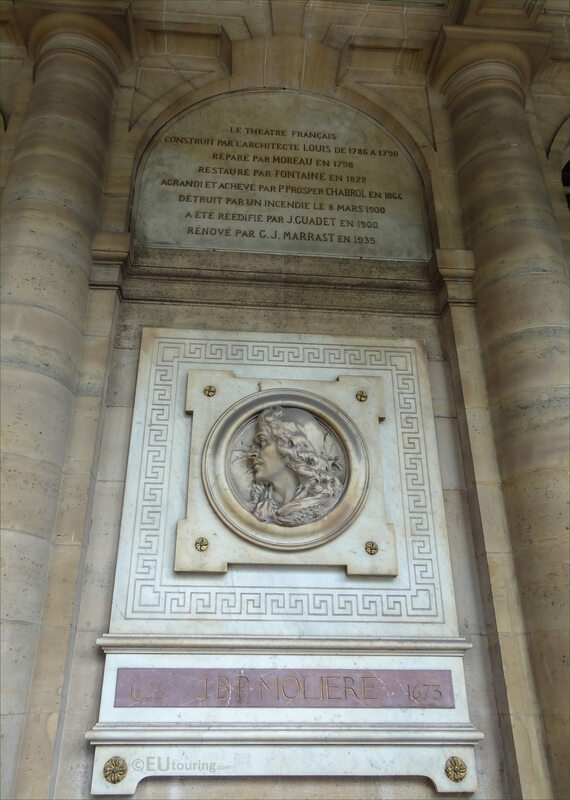 We took these high definition photos showing an inscription along with a bust of Moliere sculpted by Denys Puech, which is located on the Comedie Francaise at the Place Colette in the 1st Arrondissement of Paris. 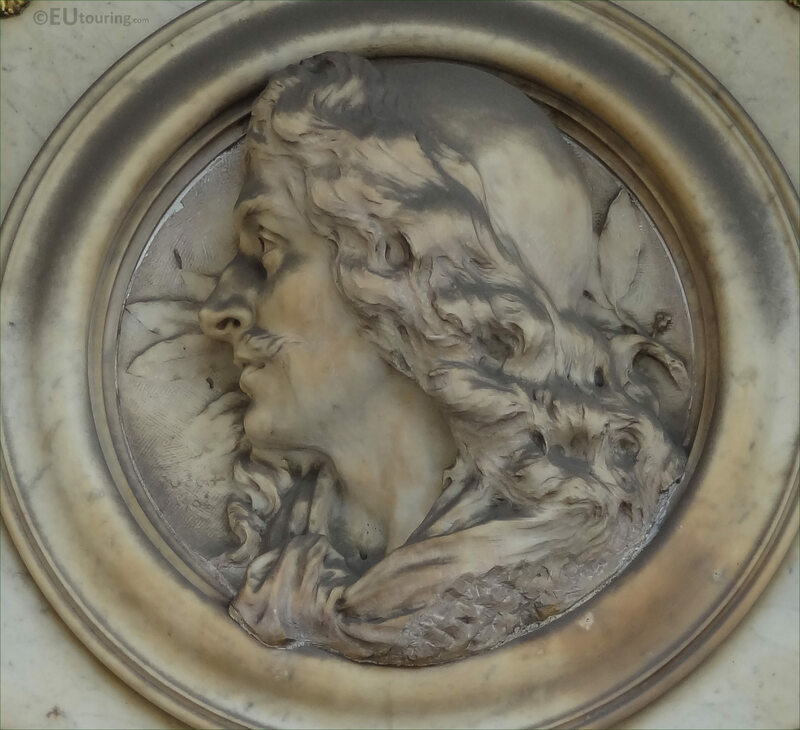 This first HD photo shows a medallion style bust that was sculpted in marble by Denys Puech to depict Moliere and placed within a surround, this was put in place on the Comedie Francaise in 1909 at the Place Colette location, close to the entrance of the Palais Royal. 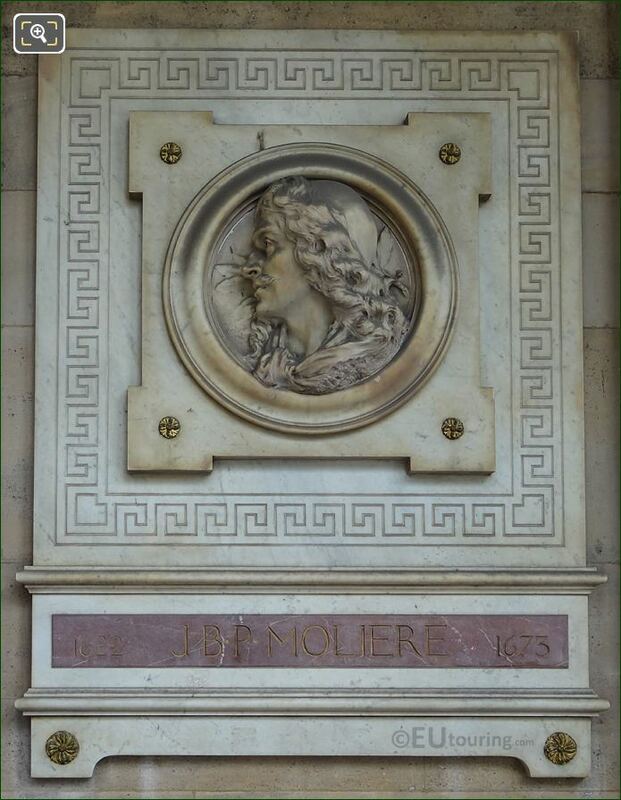 Yet if you look carefully at the reddish colour marble below, you will see that it states J B P Moliere and a date of 1673, which is the year when this famous French playwright and actor passed away only hours after just managing to finish his last performance, having already collapsed on stage while performing his last play. 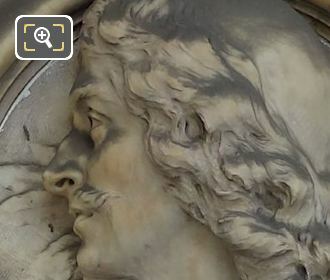 Now here you can see a close up photograph showing the medallion style bust and this gentleman was born in 1622 with a name of Jean Baptiste Poquelin, yet becoming an actor, he had a stage name of Moliere, which is how he has been recognised throughout the centuries. 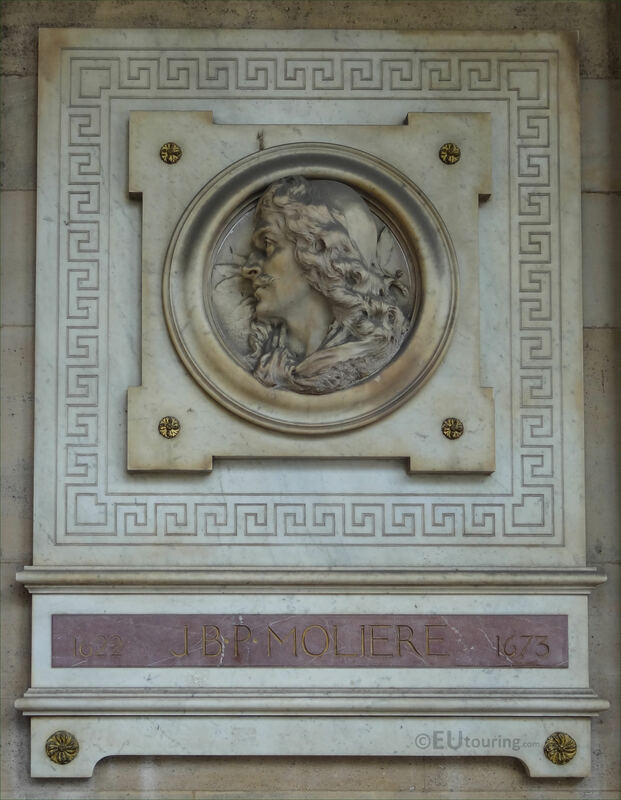 Moliere wrote his own plays as well as performing others such as a classic play by Pierre Corneille for the king at The Louvre, and becoming the official author of court entertainment, he has been classed as one of the greatest masters of Comedy in Western literature, with his plays such as The School for Wives, The Imaginary Invalid and The Bourgeois Gentleman. But here you can see the entire panel on the Comedie Francaise with the inscription and the medallion bust of Moliere sculpted in marble by Denys Puech, who was born in the Aveyron region of France in 1854 and studied at the Ecole des Beaux Arts to become a French sculptor, later also becoming a professor at this school. 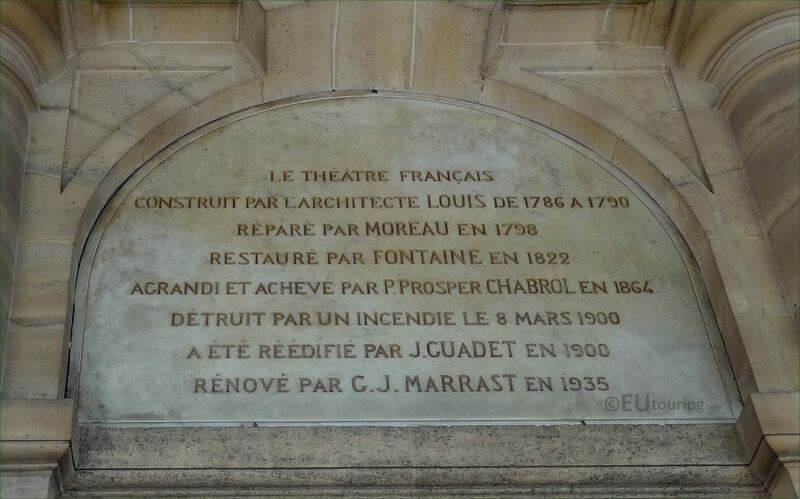 In fact, Denys Puech, sometimes spelt Denis Puech, was a prolific sculptor producing more than 500 different works, many of which were for commissions he received from the City of Paris and the French State, with lots of these statues now located in museums like the Musee d'Orsay and one he founded in Rodez, shortly before he was made director of the Villa Medici Academy in Rome.